Scientists look for various properties in plants when classifying them. To make this classification easy to understand, it has been explained in a table. 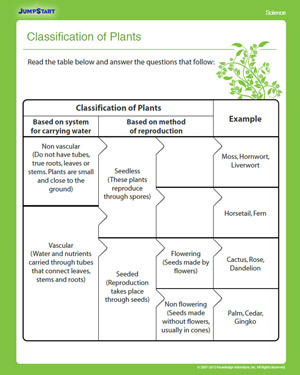 Fourth graders can use this printable science worksheet to practice gathering information from tables, and to learn more about plant classification. The questions in the worksheet test how well they have understood the table.